It's no secret to experienced freelance writers that having a specialty can simplify marketing and lead to much higher paying gigs. Clients are willing to pay you a premium for industry or niche expertise, especially those in higher-end pro level markets. It's your specialized knowledge that lets them help clients brand themselves as authorities in their fields. Now some freelance pros specialize in types of writing rather than topics, or niches, such as an email marketing copywriter. But let's say you want to specialize in a niche instead. How do you choose a freelance writing niche to specialize in? Do you just pull topics out of the air? Do you try everything and see what sticks? Hopefully you do neither of those things. Instead, take some time to consider your options and the business potential of each. 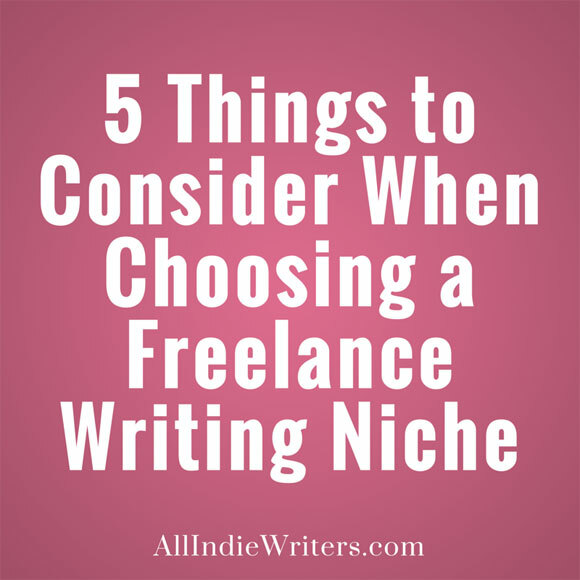 Here are five things to consider when choosing a freelance writing niche to specialize in. These are meant to serve as a starting point. A niche doesn't have to satisfy all of these areas perfectly, though that's always nice. But if you find potential problems in several of these areas, at the very least it should make you more cautious about pursuing that niche. 1. What niches do you want to write about? Start by asking yourself what freelance writing niches you want to focus on. What do you enjoy? Sports? Food? Books? Healthcare? Marketing? Make a list of at least ten topics that interest you -- things you would be happy to write about on a regular basis. Remember, you don't always have to choose profit vs passion. You can often have both. 2. What are you already knowledgeable about? Next think about what you can already competently cover. Can you research to pick up new skills along the way? Of course. But if you already have years of experience in certain niches now, you start off well ahead of most new freelancers because that expertise has value to clients. Did you go to college? If so, what did you major in? Do you have other degrees? What kinds of jobs have you held in the past? In what industries did you work? What specific writing projects did you take on for past employers? But don't limit yourself there. Your expertise as a freelance writer isn't always earned in some "official" capacity. Maybe you have years of experience as an amateur football player and you'd like to write about the sport. Maybe you're a parent with a special needs child, and you want to use your experience in that area to write for companies or organizations that help parents in a similar position. Maybe you have a lot of expertise related to a certain breed of dog because you've had them most of your life. Think about your academic experience. Think about your work experience. But also think about your life experience. Then, again, list several freelance writing niches -- things you would feel qualified to write about. 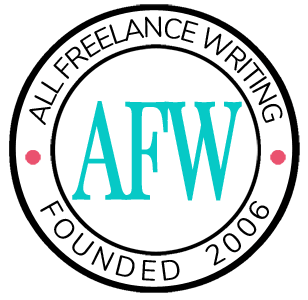 Struggling to come up with freelance writing niches? Get inspired with these 101 niches to write about. 3. What kind of demand exists in this freelance writing niche? It's time to take your lists of niche ideas and dig a bit deeper into each possibility. The first thing to consider at this point is demand. Simply put, if there's little to no demand for freelance writers in one of the niches you're considering, you probably shouldn't pursue it. Now there are rare exceptions where a niche is very new and you can create demand. But that can be difficult to do, especially when you're new to freelancing as it is. Check job sites to see if people are hiring writers in this specialty area. Search Google for other writers specializing in the niche. Look at their portfolios and testimonials for a better idea of what kinds of companies have opportunities available. Use the Google Adwords Keyword Planner. Enter keywords related to each possible freelance writing niche to see approximately how many searches they get each month. If people are searching for information or products in a niche, there are companies or publications out there that need writers. Remember, this is just a start. The best gigs aren't usually advertised, so don't fret too much if you don't see many gigs offering high rates. All you're doing here is seeing if others are pursuing, or interested in the niches you'd like to specialize in. 4. How much competition exists in this specialty area? If you have any promising niche ideas with clear demand, move on to the competition. Again, search for writers specializing in each area. If there are a lot of competitors and it's a fairly narrow niche, it might be oversaturated. If you're looking at high-demand niches and there aren't many competitors, it could be a prime niche to pursue. Most will fall somewhere in between. Start ranking your possible freelance writing niches based on a combination of demand and competition. 5. Can this freelance writing niche accommodate your target rates? Last, but far from least, you need to figure out if clients in a niche can actually afford you. If you're charging a base rate of $100 per hour, you don't want to specialize in a niche where most clients aren't willing to spend more than $30 per hour. Again, turn to job ads. Don't worry if most jobs you find are on the lower end of the pay spectrum. The key is finding out if there are any gigs advertised in your target range of freelance writing rates. Look at older job ads too. If you can find even a few gems in the mix, there are likely plenty of others available that weren't ever advertised. More importantly, again, take a look at competitors' websites. Check out their rate charts. Are you able to find other writers specializing in the niche, charging rates similar to your own? If so, that's a good sign. If they're all charging significantly less, that could be a sign that clients in this niche can't afford you. Another option is to talk to some potential clients. Pitch them and see if they complain about your target rates. And if you happen to know other writers in the niche, ask them directly. They might be willing to share some insight. Narrowing down freelance writing niches can be a challenge. But it's an important step towards becoming a specialist clients are willing to pay a premium for. These five questions can help you navigate your way through the process. Are you already a specialist? If you specialize in a subject area or industry rather than a type of writing, how did you choose your freelance writing niche? If you were starting over now, would you make the same choice? Tell me about it in a comment below. But the more I wrote, the more I learned what topics I enjoyed writing about, and what kind of demand there was for different niches. I don’t write a lot of crochet patterns anymore :D, but I definitely am writing a lot more about tech! One suggestion for new writers who might be thinking about taking a similar approach: consider using pen names to dabble in different niches. You don’t want to build a scattered personal brand, and that can happen if you don’t focus. And if you later decide to specialize, you might have to re-brand entirely, and that can be difficult to do. And as always, some writers just aren’t cut out for niche specialties. It’s not the only way to increase value by becoming a specialist. If that sounds like you, consider specializing in writing styles instead. But again, be careful about being too general. Specializing in blogging, for example, usually won’t be enough. Narrow it down by client type or the specific types of blog content you create (news stories, corporate blogging, small business blogging, tutorial blogging, etc. ).